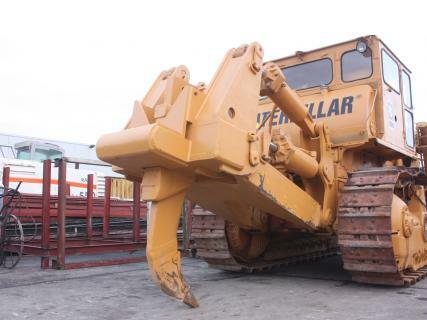 Genuine Caterpillar SS ripper to suit Cat D9H dozer, c/w brackets, pins and control valves, hydr. pin puller, including shank. Ripper is complete and is in very good and clean condition.